Angela Greene is born in 1921, grows up in Flushing, New York, becomes a Powers model, is crowned “Miss Rheingold” and works on Broadway. She appears on the cover of The Saturday Evening Post by Norman Rockwell in 1941, on the cover of the 14 July 1944 issue of Yank magazine and, clad in a bikini, on the nose of Skipper 2, a U.S. bomber. 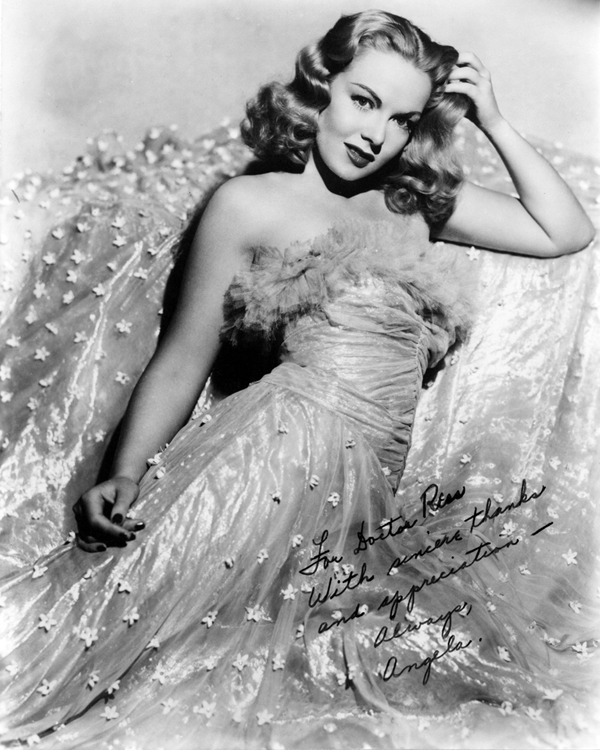 Around this time she moves to Hollywood and dates actor William Lundigan and John F Kennedy (then a naval lieutenant), who is also seeing Phyllis Brooks. In December 1946 she marries Stuart Martin, a wealthy realtor with whom she will have four daughters. Her final appearance on screen will be in Future World (1976), her 100th credit on IMDb.